My kitties do not like sharing a litter box and we have to constantly scoop to keep it clean. 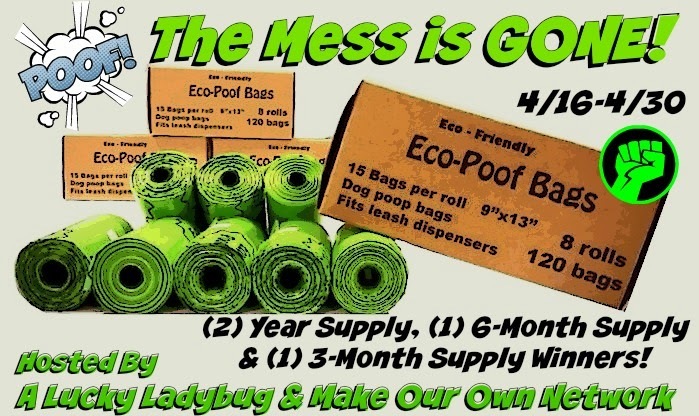 These bags are perfect to contain the mess and minimize the smell. I would use these when I scoop the cat's litter box. I have a four-month-old puppy, Frankie. And, boy could I use these. They probably wouldn't last too long! I have three dogs, who enjoy going for walks. I would use these bags during those walks. Do I have pets? Two dogs, 2 cats, one snake and 2 chickens. I would use to clean chicken coop out, pick up after dog walks and the cat litter box. I would definitely use these for our pets. We have 3 dogs and one of them is a puppy. These would be perfect for their daily evening walks. We have 3 dogs. We could really use these for all of them.